When I started out doing research for my book, Fundamentals of Traditional and Modern Polynesian Tattoo, back in 2011, I stumbled across something quite unexpected: I discovered my Zen. But before I get into what that meant, and how it defined me as a person and as an artist, I need to briefly explain why I decided to write the book in the first place. As a 6th generation Polynesian and practitioner of Polynesian tattoo, I found that the resources out there on the subject of Polynesian tattoo, was lacking. Sure, there are plenty of books with pictures of beautiful Polynesian tattoo work. There are even books that go so far as to explain a bit about the culture(s), both ancient and modern. But I was looking for something more than just pretty pictures: I needed to know the meanings behind the images and motifs. No longer was I content on rehashing the twenty-odd motifs I was familiar with, that are used in most Polynesian tattoo performed today. My goal as an artist is to create unique, individualized pieces and I couldn’t do that by reusing the same images over and over again. This is how much of Polynesian tattoo is done today. I found that many of the other artists here in Hawaii, and in other parts of Polynesia, were in fact, facing the same dilemma. Some were fine with the derivative regurgitation; others were not. But the general consensus was that such knowledge had been lost to time and therefore unknowable. I found that this was not the true. It took me 2 years to find the answers I was looking for; and the journey was wonderful, strange and ultimately extremely satisfying to me both as an artist and a human being. But what often happens when one goes looking for answers, happened to me: I ended up with more questions. When I published the book in 2013, I was content with the research that I had done and was eager to get the book in print for an upcoming tattoo convention here in Hawaii. Still, I knew that there were some loose ends that I planned on revisiting at a future date. I did not plan on printing revised editions of the book with updated information, but instead, planned on publishing an addendum on my blog, that people could access for free. This is the first of such attempts. The greatest compliment bestowed upon me by the judges on Inkmaster (although the exchange was never aired) was that they were truly impressed by my commitment and dedication to my work as a tattoo artist. They said that because I took the time to understand my art and to write about it, this made me a stand out among other artists. I was truly humbled that they seemed to understand this about me, and I could tell that they were sincere with their words. However, until that was said to me, I hadn’t attempted to separate what drove me to create art, from what made me an artist. These principles are one and the same to me; I know nothing else. I want to understand as much as I can about everything that is out there. I crave knowledge. The funny thing is that the producers of the show, singled out this one particular trait and tried to turn it around and make me seem like I was a control freak, and that I had OCD. You know, because television. Anyway, it’s this obsessive thirst for understanding that drives me, both as an artist and as a human being: this is my Zen. And it is this thirst that makes it impossible for me to walk away from something that I have created and not want to further improve upon it. Those loose ends I had mentioned earlier just kept getting a little more and more frayed in my mind until I finally had to do something about them! What I’m trying to say is that art and life are one and the same for me. It is my breath, my life and everything in-between. I cannot turn it off, or turn it on for that matter; it just is. It is an obsession and an intrinsic part of my being. But more importantly, it is the darkness and it is the light. But before I get into what exactly I’m rambling on about, I want to outline my intentions just incase any of you find this uninteresting and want to click away now. It has been proposed by some people that contact between Asia and Central and South America occurred roughly 4500 years before the arrival of the Spanish on the Yucatan peninsula. Another proposition is that because of the similarities between Native American, Central and South American and Polynesian cultures, that somehow they are all related. What I discovered not only elaborates on these proposals but also adds another possible explanation to such questions. However, little exists in the way of historical account for many of these cultures, for the simple reason that anything containing such information was either destroyed or lost to time. We can only speculate on the data that is there, and even then, a lot can be left open for interpretation. Like anything in life, those involved, scientists and layman alike, approach the subject with personal bias and often have their own agenda. My intention is not to advocate one outlook over another, nor is it to convert nonbelievers. I am merely presenting information that I have discovered. Any and all statements in regard to intention or causality, are strictly my own. Now, to get on with the story. This Marquesan motif is one of the most dramatic looking in all of Polynesian tattoo. Appearances aside, the purpose of this motif is also one of the most fascinating uses of art on the human body by ancient man that I have come across. I elaborate on this motif in my book as well as here on my blog. 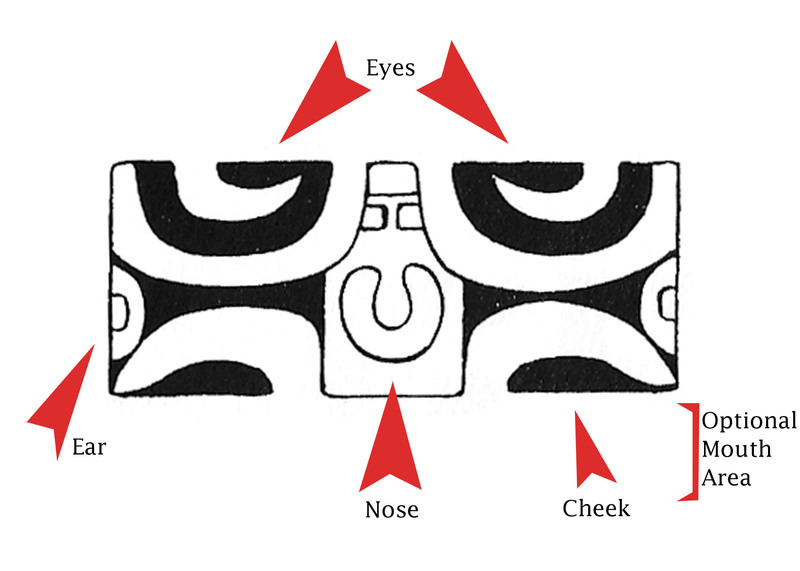 Mata hoata means, ‘all seeing-eye’ and is an analog for a face. The motif itself is a combination of 3 elements that make up the whole but it can also consist of the eyes only (mata) and still retain the same meaning and intention. The top section consists of the eyes, which are a generally similar in design to one another. Although the eye shape and content may vary by artist the left eye, for example will be a mirrored reflection of the right. The middle section consists of the nose, cheek and ear elements. Again, shape and embellishments will differ from artist to artist, but will retain the symmetry relative to itself. The bottom section consists of the mouth portion, which is usually filled with teeth (niho). The same rules apply for the teeth as far as variation in regards to symmetry. In my book, I propose that a possible inspiration, muse or intention of this motif could have come from a crab. 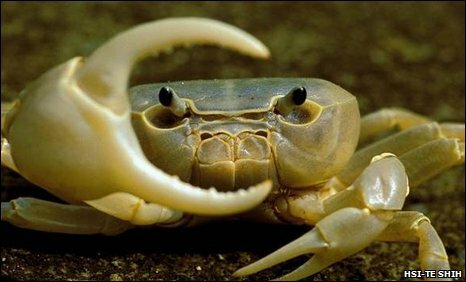 There are many species of crab in Polynesia and the layout of eyes, nose and mouth, so to speak, are a pretty good match for a crab face. 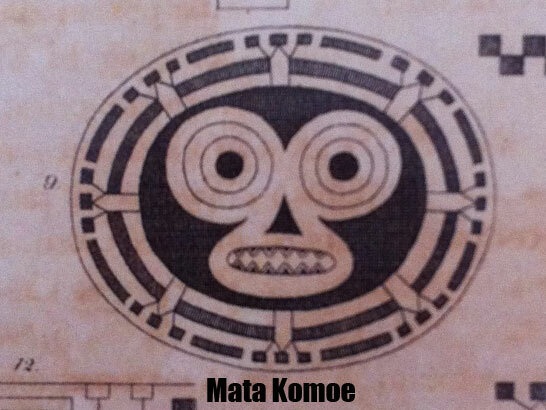 It was also put forth by early Russian and German explorers of the Marquesas that the mata hoata was a stylized rendition of an even earlier motif, mata komoe, or Death’s head. From what little visual information was available for mata komoe, I personally could not see the transition, nor do I believe that something referred to as, ‘Death’s head’, could come to mean, ‘all-seeing eye’. 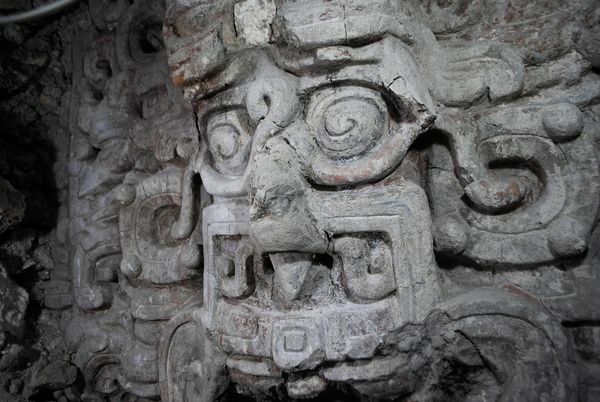 But the thing that really intrigued me was how much the mata hoata looked like a face that could be found on a totem pole or decorating a Maya temple. It would be easy to imagine such a design done in relief on wood or stone. 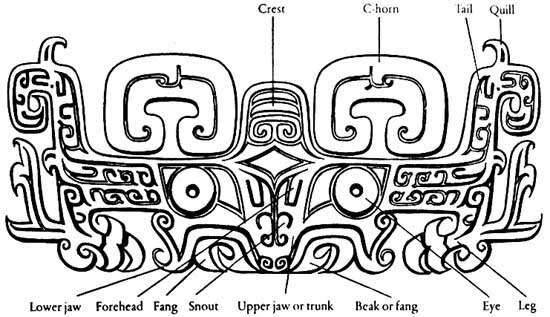 In my book I have also proposed that the shape of paka in a full body Polynesian tattoo, could have been inspired by Spanish or European armor. Animals, especially those with a shell or exoskeletal body, such as sea turtles and crabs, are possible candidates for inspiration as well. But one common thread remained, and continued to worm its way around in my head, and that was the possible Spanish connection. I began by researching art of the Maya. It just seemed logical since the similarities that I noticed in artwork and textiles of Preclassic (1800BCE-200CE) Mesoamerica and Polynesia were too apparent to ignore. Not to mention the Spanish Conquistador angle. What I came away with, in terms of similarities in cultural practices was curious and fascinating to say the least. That being said, the biggest obstacle to overcome while doing any sort of research into the histories of ancient cultures is establishing an accurate timeline. What we know about such cultures, that we can claim as certainties, such as when a certain pyramid or piece of artwork was created, is not an exact science. With the use of radio-carbon dating and other such means we can get approximations at best. This is what makes anthropology such a highly contested field; filled with both tremendous accomplishments and catastrophic failures. So, I decided to go ahead and create a timeline. It was then that I realized that I had just opened Pandora’s Box. You see, a timeline is like a sponge: It just begs to be soaked with information. Once I began filling in the relevant information, I realized that the more data I input, the more it required. I quickly understood that I could spend the rest of my life researching information for my timeline. It turns out that the further back in time you go, despite everything becoming more obscure, a very definite dispersal point of humanity and culture begins to emerge. I didn’t want to go down that slippery slope, so instead, I chose to focus on a very specific point in time. That point was from the generally accepted time (although theoretical) when migratory peoples journeyed from the eastern coast of Asia to North America via the Bering Land Bridge, circa 13500BCE. I also decided to keep my focus on the fringes of the eastern coast of Asia, Polynesia and the coast of western Central America, as well as concentrate on the dominant cultures in that area, at that time. Chinese culture was arguably the longest-lived and most technologically advanced, spanning the time period between 8000BCE to the Common Era, so I shifted the focus of my research to the Chinese, specifically that country’s maritime activities. Needless to say, the Maya (and Mesoamerican) connection to Polynesian tattoo (although still totally relevant) had suddenly become a side story, as the major plot line began to unfold. 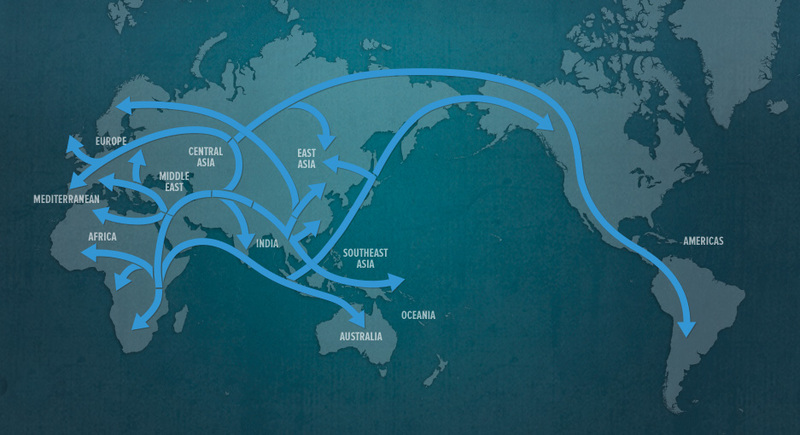 • 13500BCE– This is the generally accepted time period (+/- 10-20K years) that has been proposed that peoples from the Asian continent began migrating toward the Americas, Australia and Oceania, by use of the Bering Land Bridge (North) and via Southern Asia, respectively. Those traveling via Southern Asia, had previously settled in southern China and brought with them the development of rice agriculture, which created a population explosion. • 7500BCE– This was the time that many have accepted as the definitive point when peoples of China began creating watercraft. It is merely an approximation, as most feel that the actual time of innovation could have taken place several thousands of years before. • 5500BCE– A relic of a small wooden boat with oars was found in the Xiaoshan City in China. This finding confirmed, at the very least, that boat building had occurred or began in 7500BCE. • 3000BCE– Pieces of broken pottery found in Ecuador have been dated to this time. The process by which the pottery was made, as well as artwork found on the pieces point to Asian origins, Japan in particular. 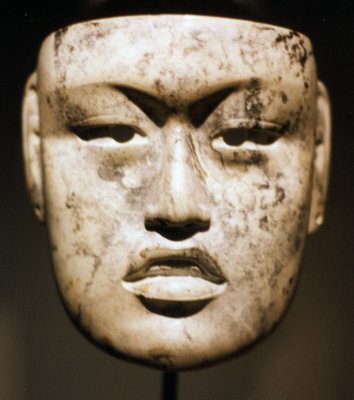 • 1800BCE– This is the accepted point in time when both the region of Polynesia began settlement (via Southern Asia) and the people who would become the Maya (see Olmec) began to settle in Central America (via North America). This is also the time when things get murky. 12000 years of migration, by foot and possibly by watercraft, points to a diffusion of multiple cultures in these areas that could influence indigenous culture (and art) essentially ruling out independent invention or discovery. 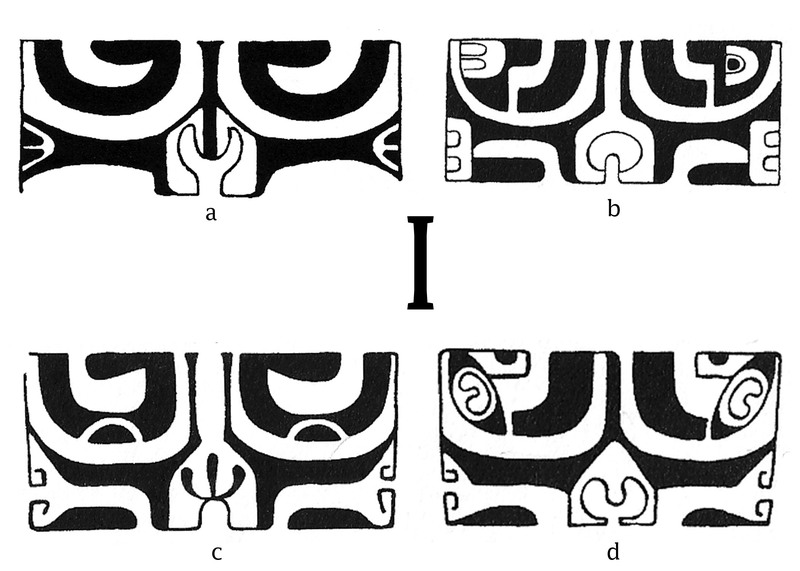 In other words, Polynesians and Maya would produce art and be influenced by outside culture, and not necessarily create unique art (to themselves), but rather a blend of two or more cultures. • 1600BCE- This is when the Shang Dynasty began in China. It marks a point in time when China was becoming technologically innovative and the matter of shipbuilding became more complex. This would be the time when ships capable of traveling across large expanses of water would have been nearing its peak. This is also the time when the Lapita, a very obscure and short-lived Pacific culture, has been thought to exist. They are considered to be a common ancestor of contemporary cultures in Polynesia, Micronesia and Melanesia. They were best known for creating ceramics in the same manner of other Asian cultures as well as utilizing design elements on said pottery, that contain patterns and motifs found in modern Polynesian tattoo and textiles. Here is the region that they occupied and an example of their art. • 1500BCE– This point in time was when another obscure and relatively short-lived culture existed, this time across the Pacific, on the Yucatan peninsula. 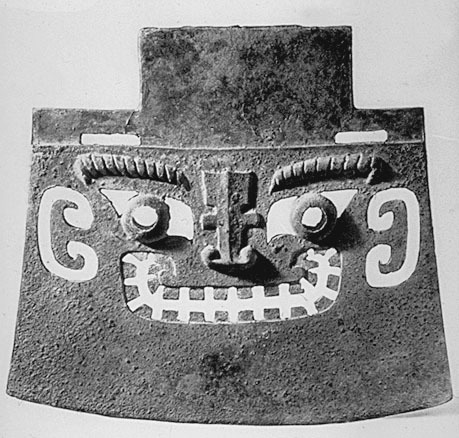 The date is given to artifacts found belonging to the Olmec culture. 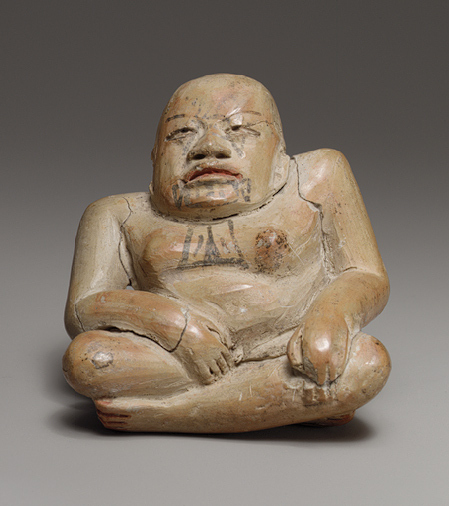 The Olmec were advanced both in technology and art and are believed to have been the progenitors of the Maya. They were believed to be responsible for creating the basis for the Maya calendar as well as the ritual ball game played by the Aztec. Their sculpture, as you can plainly see, is very Asian in appearance and construction. 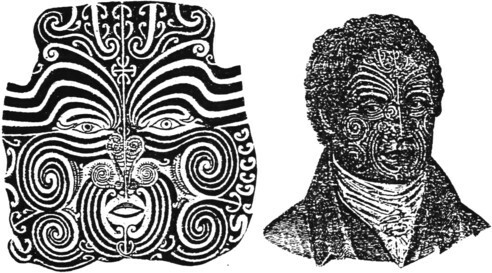 Some masks even sport tattoos that look very similar to Maori moko. 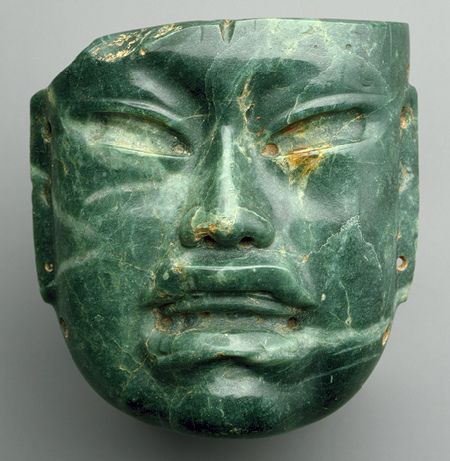 It is important to note that the Olmec did not call themselves by this name (their true name is unknown); the name was what the Nahuatl (Aztec) called them, and meant “rubber people” or “people of the rubber country”. 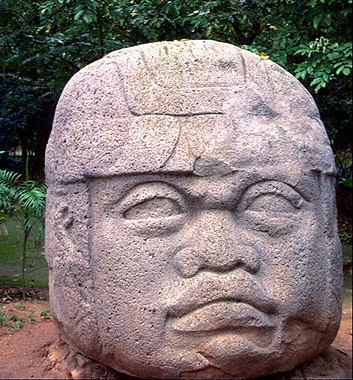 The term was used because the Olmec were adept at extracting latex from rubber trees (Castilla elastica). As it turns out, the process of making rubber originated in Asia, specifically China via India. • 1050BCE– This is the time when the Shang Dynasty ended in China, and marks the beginning of the Zhou Dynasty. It was after the fall of the Shang that the Chinese general, You Houxi led 250,000 troops to the South Pacific and the Americas, likely by and land and by sea. Such an influx of people and technology would have a tremendous impact on all of the cultures they happened upon. My feeling is that colonies had already been established in the South Pacific and the Americas, and that general Houxi was attempting to establish a connection to these places as a means of conquest or further proliferation. • 500BCE– This point in time when it is believed that Lapita culture is thought to have disappeared, migrated or been assimilated. • 400BCE– Marks one possible point in time when it is believed the Olmec may have disappeared, migrated or been assimilated. • 256BCE– This is when the Zhou Dynasty came to an end. • 20BCE– It was during this year that the practice of Polynesian specific tattoo has been thought to have began. Dating from tools and motifs lead to this conclusion. Even in the event that the practice began at an earlier or later date, the fact that tattoo as a cultural expression was already in use, dates as far back as Neolithic times (10000-8000BCE). • 250CE– This is generally the accepted point in time when Maya civilization was at its peak. Culturally speaking, this would be when technology, art, building and stratification of the society would have reached its apex. • 300CE– This date was put forth as another possible date that would have seen the decline of the Olmec, but as it comes after the peak of the Maya it is unlikely. 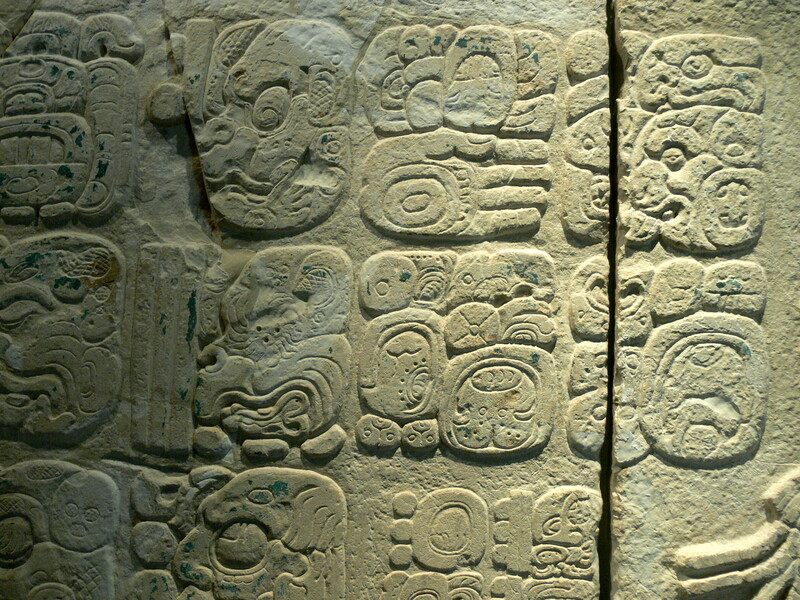 • 553CE– During the peak of Maya culture the usage of glyphs as a communicative device was perfected. Glyphs are basically a form of alphabet and were constructed in such a way that complex ideas could be conveyed. Glyph usage began in the 3rd and 4th centuries CE. It is important to note that both the Chinese and the Maya used pictogram or ideogram based writing to create glyphs. This form of communication utilizes graphic symbols of objects to convey ideas or concepts, instead of letters. There are also similarities to how the glyphs were written and read, generally in vertical columns, from top to bottom. 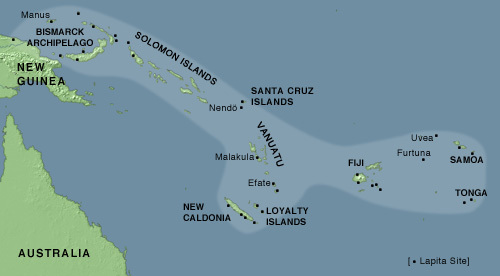 • 700CE– This is the approximate time when Polynesian settlement is thought to have ended and independent cultural development began. This is just a theory, however, likely made by those who do not believe that cultural diffusion happened. Personally, I can’t say if this theory is accurate since I don’t know anyone who would have been alive back then. But it is likely that if Polynesians developed in any sort of isolation this would have occurred over shorter rather than extended periods of time, and perhaps only on remote islands. In any case, this would likely mark the time when localized regions such as Tahiti, Marquesas, Hawaii, and Easter Island would have established and developed their respective cultures, at the very least. • 900CE– This time is the accepted time that the culture of the Maya began to decline. It is not known what caused this decline, but the abandonment of their cities and much of their cultural practices happened at this time. It is also important to remember that the Maya did not vanish into thin air; they simply dispersed and assimilated into other groups in the region. Maya bloodline is still very alive and well in present day Central America. • 1595CE– I’ve included this date for the simple fact that evidence of contact between the Old World and Polynesia occurred at this time. To some, this marks the time when Polynesian culture became tainted by outside influence, specifically the introduction of monotheism and Christianity. This contact ultimately lead to the ending of the practice of tattoo as a cultural mainstay, however, the decline occurred during different times for each respective location. I started out trying to connect Maya art and culture with Polynesian, and ended up going in an unexpectedly wonderful and enlightening direction. The possibility of some form of contact from Asia with the Americas and Polynesia some 5000 years ago, be it by land bridge or ship, seems highly likely. 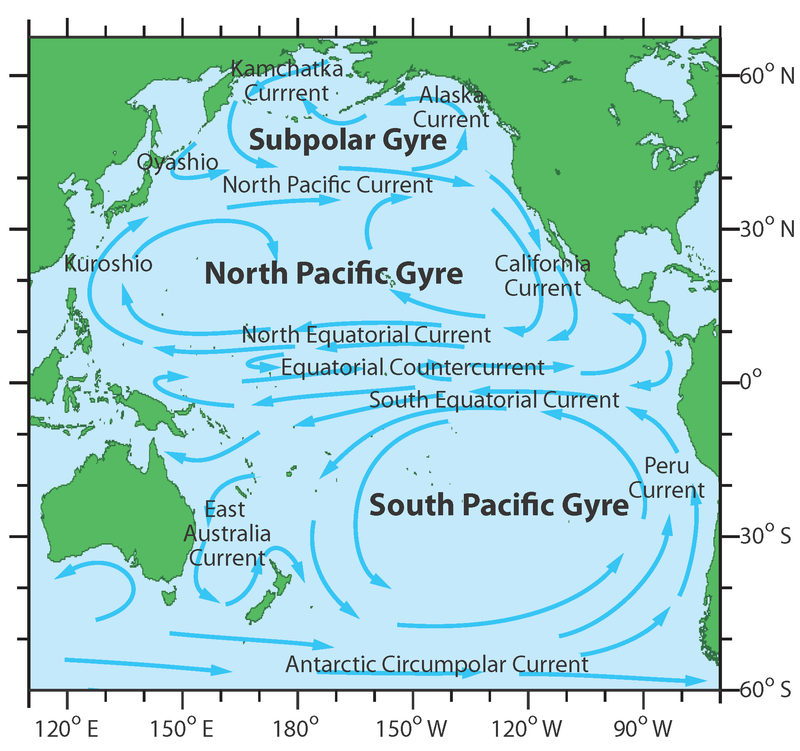 Even if by accident, say a lost fishing vessel or maybe a fleet of several boats, it is easy to see by this graphic of ocean currents how an Asian boat could simply be taken by North Pacific Gyre to the coast of North America, then south via the California Current and end up in Central America. It is also easy to imagine that any attempt to return to Asia would be a simple matter of catching the North Equatorial Current as opposed to trying to fight their way back through the North Pacific Current, especially during harsh conditions such as it is during the wintertime. 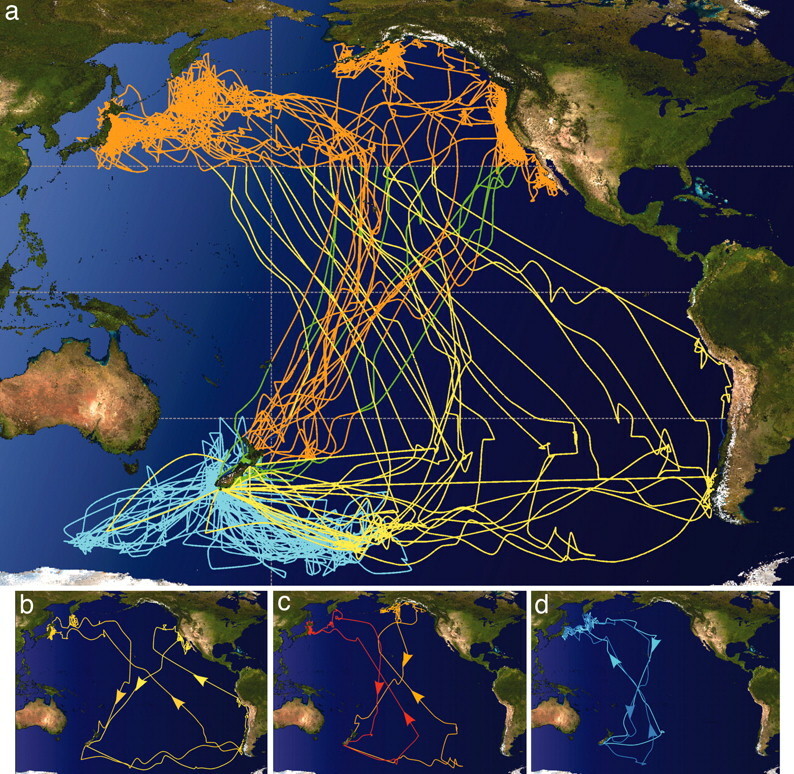 Of course it is impossible to speak about the mindset of ancient man, but it is highly probable that migration patterns of birds were paid close attention to, and it could have happened that the Sooty Shearwater, a bird that travels thousands of miles during it migration and is ubiquitous in the Pacific, was used for just that. Here are the patterns of 19 birds that were monitored recently by scientists tracking migration. When the Shearwater makes its yearly Pacific journey, there are thousands upon thousands of birds filling the sky. 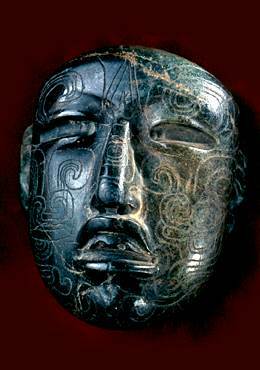 As it turns out, there was quite a bit of cultural similarities between the Maya and Polynesians, not even accounting for their artwork. • Both had highly stratified societies, with ruling/elite class, a specialized class (priests, craftsman, soldiers) and a common class (general population). • Both engaged in bloodletting (personal blood sacrifice), human sacrifice and cannibalism. • Both referred to the passage of time by nights, not by days. • Both built ocean going canoes with sails. • Both used the stars to navigate. • Both used feathers as a royal adornment and collected feathers to be used as currency. They both also penalized anyone that killed prized birds for their plumage, with death. • Both used conch shells as trumpets to call gatherings, for ceremony and for war. • Both made textiles from tree bark and fronds. • Both created idols (tiki) by stone sculpture or wood carving. • Both were polytheistic and had specific gods for certain seasons. • Both believed that all things, living and dead, animate and inanimate was connected by and imbued with an unseen power (mana). • While the Maya built elaborate temples (pyramids) for worship and sacrifice, the Polynesians built heiau, which although not nearly grand or complex, served the same purpose. It may have been that the resources and technical knowledge were insufficient to create similar buildings, but one wonders about the possibility since the basic shape of both heiau and pyramid are so similar. • In regards to art, both used geometric and interlaced patterns (as did the Chinese). • Both practiced tattoo as a rite, although Maya tattoo was performed with incision, just like the Maori. • Tattoo for men differed from the female, in that men were tattooed more heavily all over were as women were tattooed more delicately in specific areas. • Both created zoomorphic art (representing animal forms or gods of animal form). • Both created images with dual plane reflection. For example the image of a face is constructed with various sub elements that allow the image to be viewed head on as a single entity but if that entire image was to be cut in half (vertically) it would then reflect the side view, or profile of that image as well. This duality was also a common shared trait between cultures and is intended to allow the artwork to be in two states simultaneously (looking forward while looking to the sides) as a way to describe omnipotence or clairvoyance. • Both considered darkness (the color and the absence of light) to be where the gods dwelt. The color used in tattoo pigment was considered to be that analog. • Both considered jade and jadeite a very sacred material. In fact, the Maya glyph for jade was the same as the glyph for water. • Both considered the world (the realm of the living) to have multiple layers of existence. • Both utilized dancing as a part of religious observation as well as celebration. These are just some of the most striking similarities that I found between the Maya and Polynesians. If you consider that a lot of their cultural practices could have originated from Asia via China, the possibility of a sustained contact becomes very real. Take a look at Chinese art from the Shang or Zhou Dynasties and compare it to art from the Maya and Polynesians and come to your own conclusions! Back to what started it all: The mata hoata. I’ll leave it up to the reader to draw his or her own conclusions as to what did or did not happen in regards to Asian influence of Mesoamerican and Polynesian art. I can only say that the mata hoata, with its sophisticated construction and purpose, appears to have originated not in Polynesia, but in Asia. And while the resemblance is not exact, the layout and shape are what I feel correlates both. Artistic license and use of materials would factor in with the evolution of the design, ensuring a unique result while still retaining the integrity of the original piece. Here is an example of a bronze ceremonial axe from the Shang Dynasty. It was a common practice for Marquesans to place similar designs on weapons and canoe paddles. By doing this, the object was given ‘life’ so to speak and was considered a living organism thereafter. Next to the axe is one of many mata hoata designs used by the Marquesans. 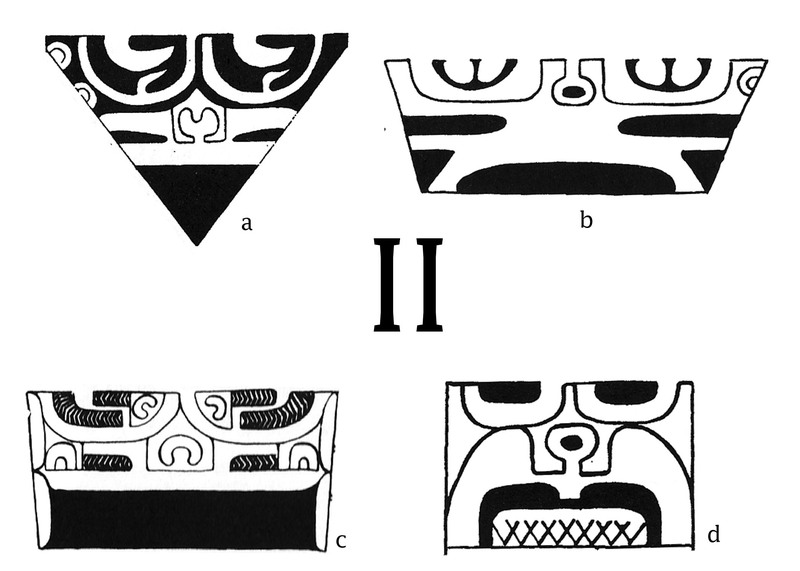 Here are 3 illustrated examples of Shang Taotie masks. 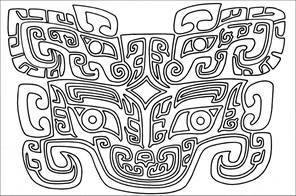 Fierce animals often depicting claws, horns, tails and legs, in a horizontal layout rendered in dual plane reflection, inspired Taotie design. The name ‘Taotie’ was not what it was originally known as, but was given to the design by scholars. It was said that the Taotie animals were very voracious, and therefore the Chinese character for Taotie contained the character for ‘eat’. The purpose of the mata hoata, when rendered with teeth, was to protect by eating or biting down on any potential threat. 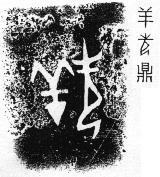 To further the point of possible artistic cross-cultural pollination, here we see Chinese clan insignia found on bronze cast vessels from the Zhou Dynasty. These images depicted the owner of the vessel, the maker of the vessel or a venerated person. Next are a few Hawaiian petroglyphs found here on the Big Island, depicting a man or warrior of great importance. These petroglyphs are thought to be between 300-1000 years old. 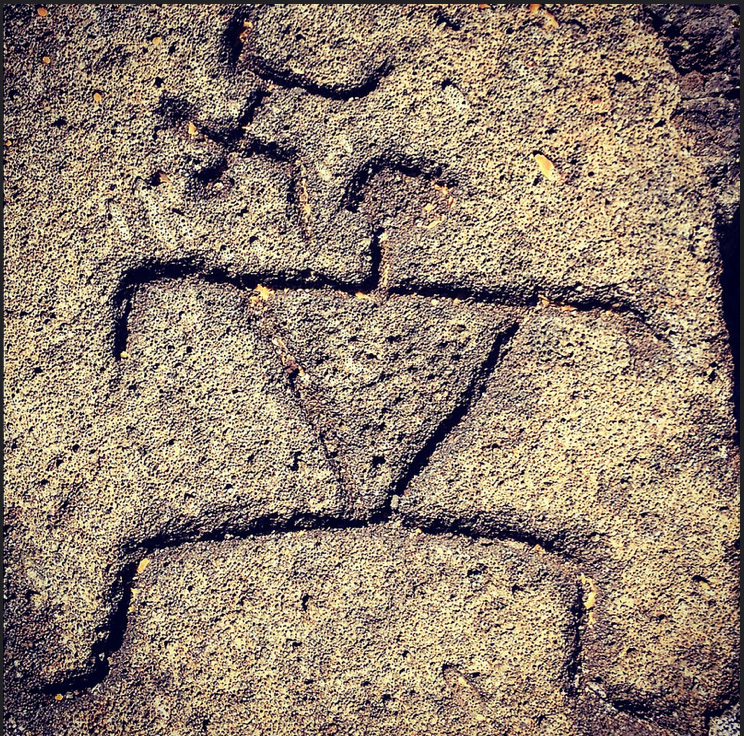 The Chinese insignia and Hawaiian petroglyphs appear to be identical in shape and form. As you can see, the further back in time you travel, the more murky things become as they also become clearer. This paradox, although at times hard to comprehend, seems to fit perfectly with what we know about human nature. 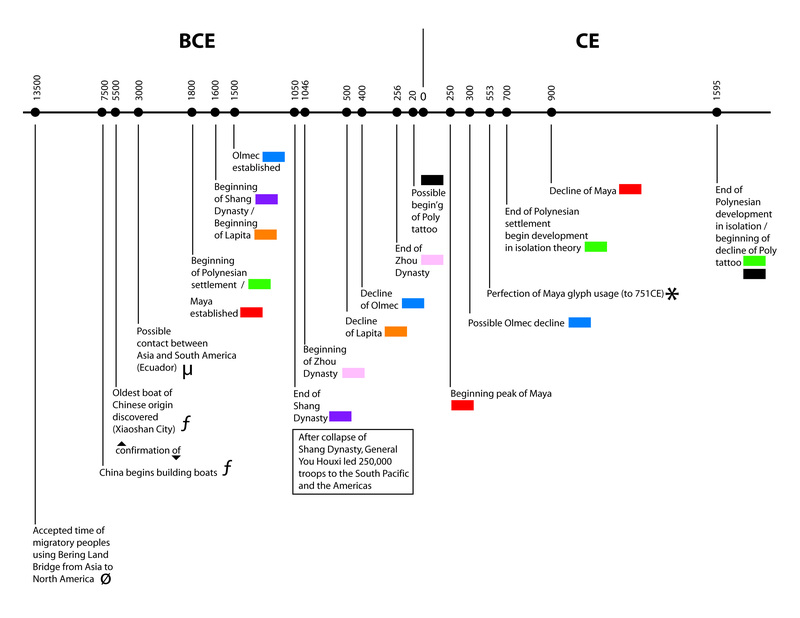 I would also like to point out that the theory of Asian contact with Mesoamerica is not new. Many have tried to connect the two cultures, and by looking at their respective art, it is easy to see why. Interestingly enough is the fact that none (that I know of) have attempted to make this correlation of Old World and New World while including Polynesia in the mix. Polynesia, I believe, was more of a highway than a destination. The islands were essentially refueling stations for provisions and construction materials, inhabited (initially) by people opting to stay rather than venture further eastward or westward, essentially creating an area of converging ethnicities; a melting pot. Modern Polynesia is still considered to be a melting pot, and I think this characteristic is intrinsic to the definition of the area, and not an extraneous consequence of settlement. What I realized while writing my book was somewhat of an epiphany, and pretty much defined me as both an artist and a human being: I live for the journey; that is where I find my Zen. I love meeting people that come into my shop, hearing their stories and then coming up with a tattoo that is unique to them. I love researching. Uncovering the complexities and intricacies of the past. When I played music, I loved being in the studio, creating while simultaneously uncovering a piece of music that I thought I already understood. Don’t get me wrong, I enjoy having a nice piece for my portfolio, a finished book, a completed song or painting. But I find true happiness in getting there; the end product is simply a wonderful artifact of that process, that journey. One last thing to mention before I go, is that while doing all of this research, comparing art of the ancients; trying to understand the reasoning behind certain motifs and styles, it dawned on me that despite all of our technology and progress and evolution, we are really just like our ancestors. We adorn our bodies with the same patterns, shapes, designs, motifs and subject matter that our ancestors found appealing. A mata hoata motif is highly specialized; it can represent a god or a deified ancestor. It is, in essence, the face of someone worthy of high regard, much like a modern day portrait tattoo. 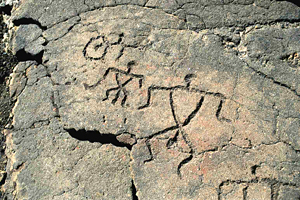 Cavemen painted animals on the walls of their dwellings: Bison, deer, antelope, birds, fish. Half of the tattoos that I do are animal related. Tattoos were not only a class distinction or a rite of passage; they were a form of communication, perhaps one of mankind’s first. When a caveman killed a mountain lion, perhaps getting clawed by the animal in the process, those marks were a temporary testament to his strength and bravery. But what if he fell asleep with a full belly, next to his fire, and awoke the next day to find that he had rolled in some of the ashes, and that the carbon got into his healing claw marks? Once that wound healed, he would have permanent black lines on his arm, attesting to his power and manliness. This is what I believe inspired the practice of tattoo. I hope you enjoyed the read and thank you for your time.